Inspired by the late Colonial Caribbean era, the Bahamas Dresser is a beautiful example of expert craftsmanship, thoughtful design and impeccable detailing. 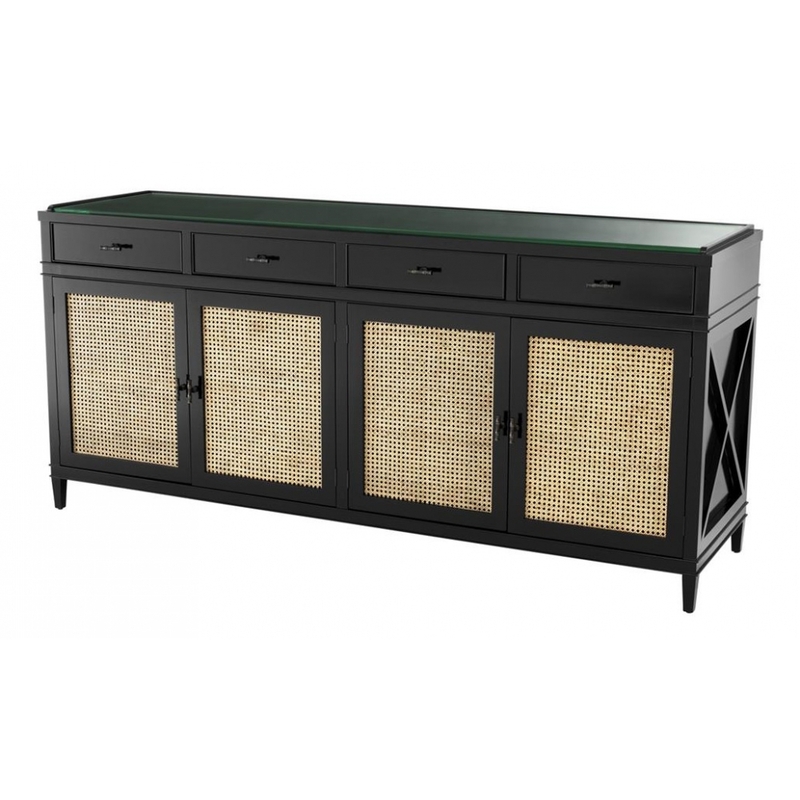 Made using natural cane to create the intricate fretwork panels, the Bahamas Dresser by Eichholtz is finished in a rich ebony black with antique bronze, cane shaped hardware and a practical, clear glass cabinet top. Style with lush planting and cool, marble flooring for a classic Colonial look in an orangery or garden room or choose tropical prints and textiles for a more contemporary scheme. Make the most of the practical storage in a dining room, hotel service area, Spa or hallway and reference the Caribbean inspired design with a simple display of potted orchids or vases brimming with Bird of Paradise flowers. Here at Uber, we have an extensive directory of Eichholtz luxury homewares and other, similarly high quality interior brands to choose from. Why not contact our expert interior design team for further details and inspiration to help you find the perfect curated collection for your next home, yacht, bar or hotel design project?